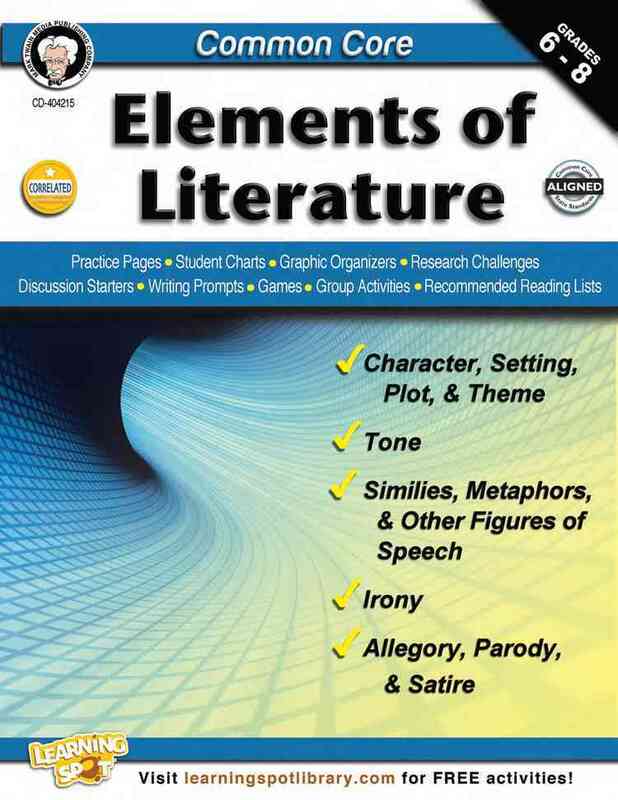 Annotation: Centered around Common Core State Standards, Common Core: Elements of Literature is designed to help students understand such complex elements of literature as irony and symbolism. Practice pages, student charts, graphic organizers, research challenges, discussion starters, writing prompts, games, group activities, and recommended reading lists enable students to practice: Pinpointing character, setting, plot, and theme; uncovering common symbols in fiction; detecting similes, metaphors, and other figures of speech; spotting verbal, situational, and dramatic irony; and recognizing allegory, parody, and satire.Mark Twain Media Publishing Company specializes in providing captivating, supplemental books and decorative resources to complement middle- and upper-grade classrooms. Designed by leading educators, the product line covers a range of subjects including mathematics, sciences, language arts, social studies, history, government, fine arts, and character. Mark Twain Media also provides innovative classroom solutions for bulletin boards and interactive whiteboards. Since 1977, Mark Twain Media has remained a reliable source for a wide variety of engaging classroom resources.